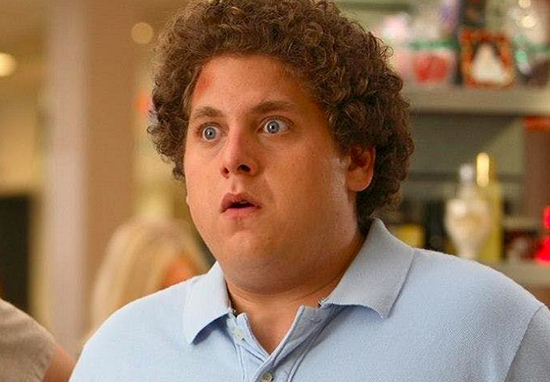 Jonah Hill’s journey as a serious actor is remarkable, originally starting out in comedies such as Superbad and Knocked Up, he has been successful in shedding his funnyman persona for more serious roles in films such as Wolf of Wall Street and True Story. While he still stars in comedies (the brilliant Jump Street series serves as a good example), we are also accustomed to his more nuanced performances too, such as his latest project Manic, which sees him reunited with Superbad co-star Emma Stone. But don’t expect any laughs, as both Hill and Stone are going full actor mode in this latest outing, with Hill’s new look making him barely recognisable. Hill’s ability to change his look for a role speaks volumes about his dedication to the craft. He can lose it for roles like 21 and 22 Jump Street and then pile it back on for something like War Dogs. For Maniac, a Netflix original series directed by the brilliant Cary Joji Fukunaga (Sin Nombre, Beasts of No Nation and True Detective season one), Hill has lost a dramatic amount of weight. However, his new look fits directly well with the film’s plot. Two strangers [Stone and Hill] find themselves caught up in a mind-bending pharmaceutical trial gone awry. Judging by the teaser trailer, Hill’s demeanour – as well as Stone’s – cuts a figure of someone dealing with a form of substance abuse/dependency. The series will also star Justin Theroux and Academy Award Winner Sally Field. Maniac’s 10-episode run on the popular streaming service is based on the original Norwegian TV series of the same name, according to Rolling Stone. Netflix’ offered more information on the upcoming original series which will premiere in September. Neither of their lives has turned out quite right, and the promise of a new, radical kind of pharmaceutical treatment—a sequence of pills its inventor, Dr. James K. Mantleray (Justin Theroux), claims can repair anything about the mind, be it mental illness or heartbreak—draws them and 10 other strangers to the facilities of Neberdine Pharmaceutical and Biotech for a three-day drug trial that will, they’re assured, with no complications or side effects whatsoever, solve all of their problems, permanently. Hill’s incredible transformation for this role can be compared to that of Christian Bale’s. The actor slimmed himself down to an almost unrecognisable husk for his role in The Machinist months after shooting the highly underrated Equilibrium. After filming wrapped up he gave himself a six-month deadline to bulk-up for his first outing as The Dark Knight in Christopher Nolan’s Batman Begins. 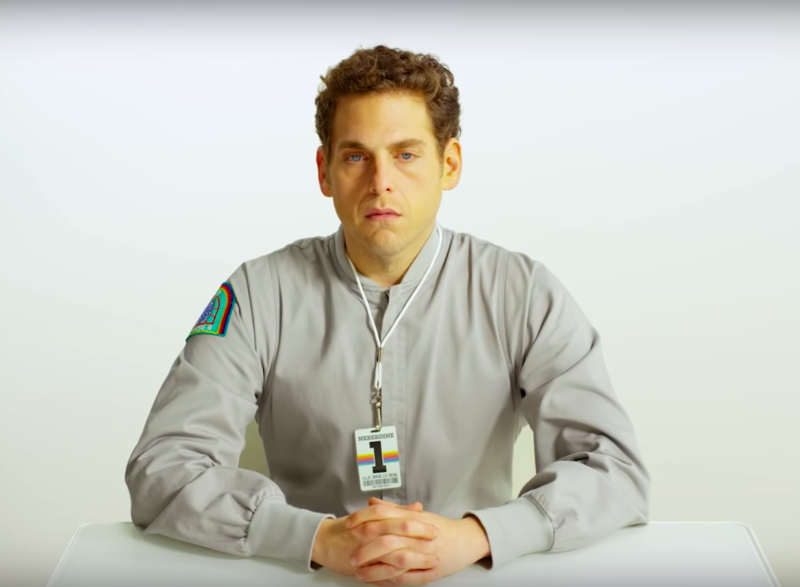 Maniac will premiere on Netflix in the UK this year.